DHL Parcel and DHL eCommerce have begun offering online retailers a global solution for their e-commerce fulfilment needs with a global fulfilment platform and new fulfilment centres in the UK, Americas and Southeast Asia. It has also built a new IT platform that provides merchants with access to a network of fulfilment centres and is closely integrated with DHL’s shipping capabilities to allow our customers to meet their fulfilment and shipping requirements. DHL is investing in this platform as well as in expanding its fulfilment centres in key international markets. DHL has existing fulfilment centres in the U.S., Mexico, Colombia, Hong Kong, India, Australia, Germany, and now has new ones in the United Kingdom and Southeast Asia. Situated near London on an area of about 6,500 sq m, the latest addition to the fulfilment network in Radlett offers potential for same-day processing for the Greater London area. 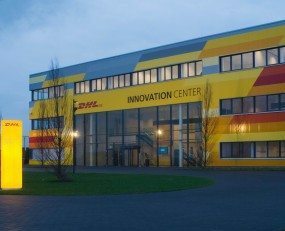 Apart from the centre in Radlett, DHL is already working on the expansion of its fulfilment centres across other European markets, like the Netherlands, Poland or Switzerland. The new IT platform allows DHL to provide online retailers with access to all of these e-commerce regions from a single source. This is aimed at ensuring simple and secure data synchronization as well as an easy connection to new business locations or regions since a reintegration is no longer required. Jürgen Gerdes, CEO of the Post-eCommerce-Parcel Division at DHL, said, “Online retailers don’t have to look for new logistics partners anymore if they want to expand their international reach,”. By directly integrating the new DHL solution into the webshop of the relevant retailer, the business can access different reporting options in real time and view current order data, for example, or the stock of individual products.